Code Red Nerd Altert: Ridley Scott’s Alien Prequel Is Going to Be in 3-D! Because they haven’t, and that shouldn’t come as a surprise. After all, I once tried really hard to convince myself that AVP: Alien vs. Predator was not a colossal disappointment that made my soul hurt, and if that doesn’t speak to the lengths my love of the Alien franchise will take me, then you’ve obviously never seen AVP: Alien vs. Predator, and oh how I envy your unsullied eyes. 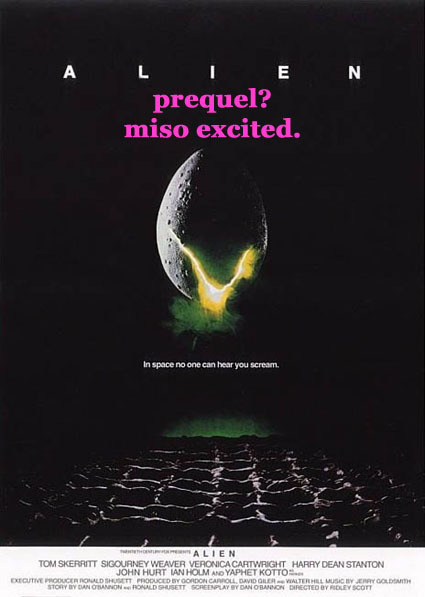 Ridley’s doing the next Alien in 3D. Ridley told me some of his ideas when we were here in Toronto. He has a very clear understanding of where this should go. They kind of stopped dead one of the greatest horror franchises there’s ever been, and it had legs to go on. So I’m hoping he’ll revive another three. The world certainly wants it, and the fans want it – everybody. I’ve never fully understood the Star Wars: The Phantom Menace backlash. It’s damn painful in parts (mostly the parts with Jar Jar Binks or Jake Lloyd), but I’ve always been willing to allow for its (frequent) missteps as inevitable the result of George Lucas being rusty and out of touch with what made the original trilogy a cultural milestone; after all, taking twenty-some-odd years away from the story that made you famous can do that. 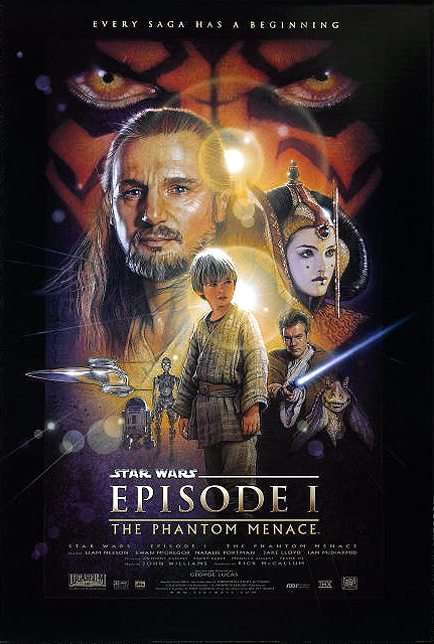 I’m not saying The Phantom Menace is an unheralded classic, but I am saying we’re all allowed to make mistakes, and at least those mistakes don’t involve sloppily borrowing from not one but two Ridley Scott movies. Whoops, Attack of the Clones, that’s your bad-idea cross to bare.